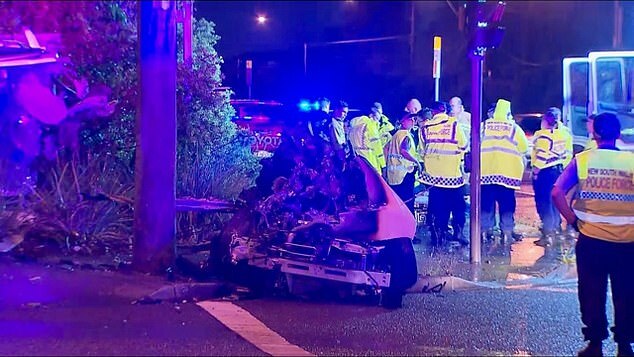 Distraught parents have attended the scene of a horrific car crash in Sydney, in which a 17-year-old girl and her 21-year-old female driver somehow cheated death. 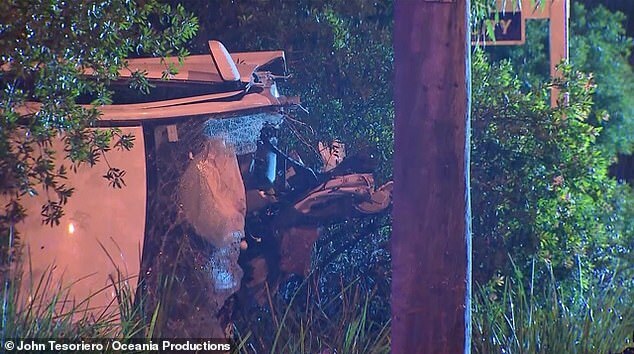 The driver and her teenage passenger narrowly escaped with their lives after their car split in two around a telegraph pole and caught fire about 8.20pm on Friday. 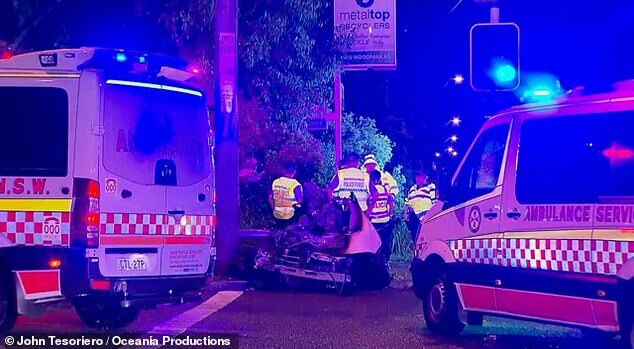 Rescue workers pulled the girls from the Mitsubishi Lancer which was found torn entirely in half with its windscreen shattered and bonnet strewn across the corner of the Cumberland Highway and Percival Road in Smithfield, in the city’s west. 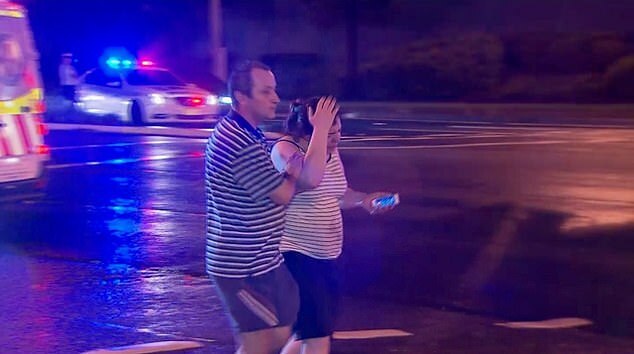 A mother was seen arriving at the crash site and wept seemingly at disbelief at the surrounding carnage and debris. 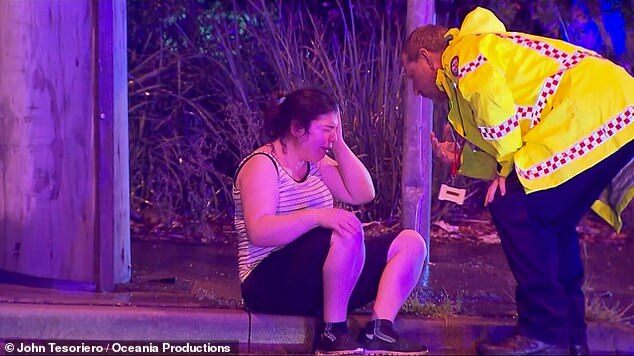 Falling to the ground, the woman needed to be reassured by a emergency response worker and led away from the wreckage. More than five ambulances arrived with dozens of paramedics, fire and rescue workers and police converging on the scene. Both females were rushed to Liverpool Hospital where they are in a stable condition. 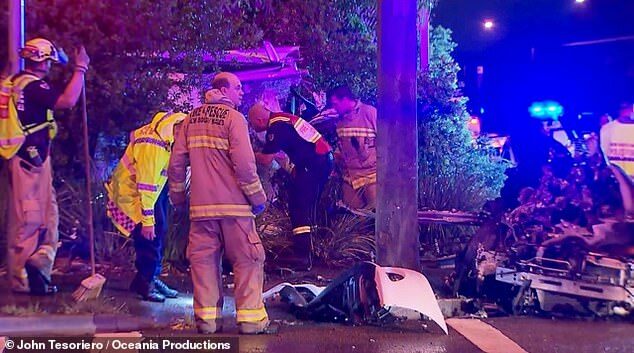 Police were told the car lost control and left the road before colliding with a telegraph pole, causing severe damage to the vehicle. 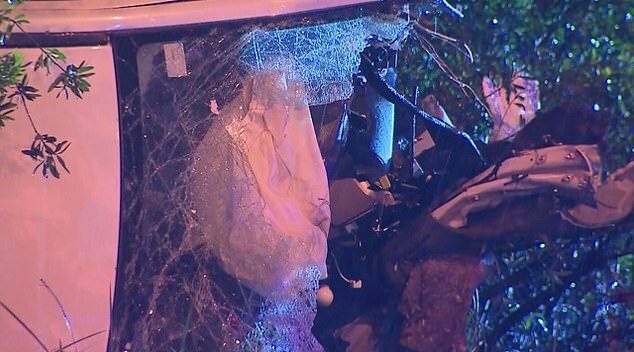 The 21-year-old driver of the car was treated for shock by paramedics at the scene. 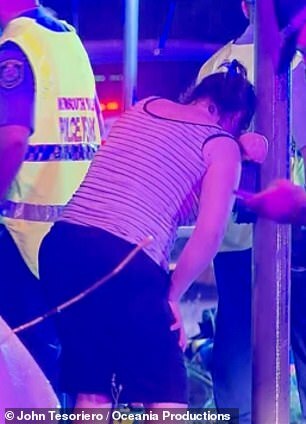 Her 17-year-old passenger received treatment for a fractured nose and underwent examinations for possible internal bleeding, police told Daily Mail Australia. Officers from Cumberland Police Area Command are investigating the circumstances surrounding the crash.